'Get Thee To The FUNDery' and help us raise $3000 for our scholarship fund! If just SIX people donated tuition for ONE student ($500) we'd reach our goal! If 30 people donated $100 we'd reach our goal! If 60 people donated $50 we'd reach our goal! Or help us put a drop of magic in the bucket by donating whatever you can! Every year our program is able to fulfill its mission with the support of generous individuals and local businesses. 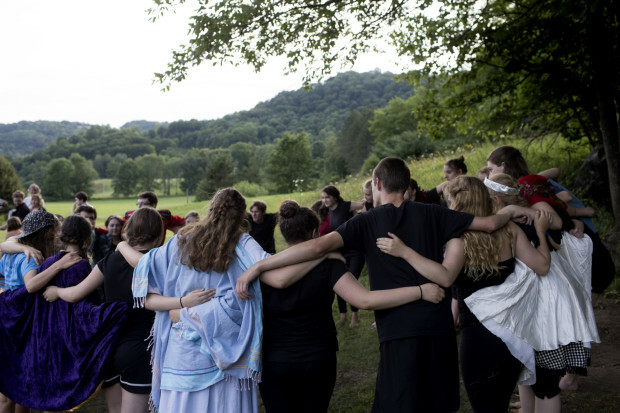 It takes a widespread community with lots of heart to make this program happen, and we, actors, families, staff, are extraordinarily grateful for all the help we receive. We are fiscally sponsored by Fractured Atlas, which allows us to accept tax-deductible donations. The Chelsea Funnery is a sponsored project of Fractured Atlas, a non-profit arts service organization. Contributions for the charitable purposes of The Chelsea Funnery must be made payable to Fractured Atlas only and are tax-deductible to the extent permitted by law. You will receive a receipt for your donation within several weeks of donating.